In 2017 New Zealand launched a Digital Technology Curriculum which has to be implemented by 2020 in your class. This new curriculum is calling us to address computational thinking strategies. Rachel Ammundsen attended workshops on the new curriculum, she reflected, planned and worked out how to apply this new learning in a way which stays true to Montessori environments. Commencing with the writings of Dr. Montessori, main points of philosophy emerged as imperative and applicable to Rachel: ie: “the hand is the instrument of the mind,” “the importance of the opportunity for independent repetition,” “moving from concrete to abstract” and “developing mastery through meaningful activity.” This led to Rachel developing a series of learning materials to promote digital literacy and computational thinking within a Montessori framework. With a review of our Montessori tents of philosophy we can easily present work for the children to learn and engage with computational thinking. This is a practical, interactive workshop about sharing the language of coding with tamariki. Participants will revisit the basic tenets of our Montessori theory and leave with practical ways to teach computational thinking, learning about algorithms and debugging without any screens or devices. Rachel Ammundsen completed her A.M.I. 3-6 and 6-12 training in her native Dublin and then moved to New Zealand in 1993 to begin her teaching career at the Casa level. Rachel has taught in France and Ireland also. She gained her B. Ed. (Teaching Primary), Graduate Diploma in Teaching (E.C.) 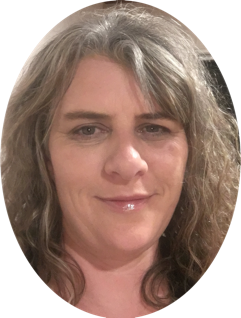 and Post Graduate Special Education Certificate through Massey University, N.Z.. Rachel has taught toddler communities through to 9-12, in private, state and Catholic integrated schools. She currently teaches an amazing community of 6-12 year old children in New Plymouth, New Zealand. They are a single Montessori class in a public state school. Rachel has 4 children of her own, between the ages of 16 and 9, she has taught 2 of her own children at Casa and elementary levels. Registration fee includes morning tea, lunch and afternoon tea.